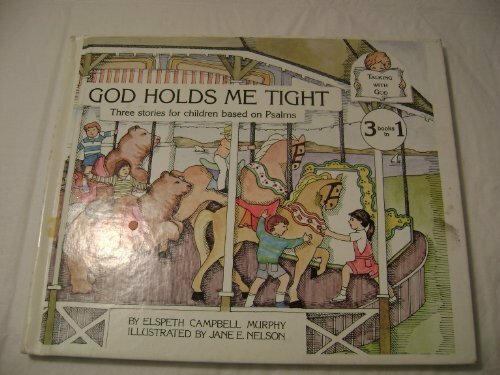 God Holds Me Tight: Three Stories for Children Based on Psalms is for Baby to Pre-K. God Holds Me Tight: Three Stories for Children Based on Psalms was written by E. Campbell and Elspeth Campbell Murphy. God Holds Me Tight: Three Stories for Children Based on Psalms was published by Chariot Family Publishing. Subjects of God Holds Me Tight: Three Stories for Children Based on Psalms include Children, Children: Babies & Toddlers, God, Juvenile literature, Juvenile Nonfiction, Loneliness, Religion - General, and Religious life. About E. Campbell (Author) : E. Campbell is a published author. A published credit of E. Campbell is God Holds Me Tight: Three Stories for Children Based on Psalms (Murphy, Elspeth Campbell. David and I Talk to God. ).